Probiotics are live microorganisms thought to be healthy for the host organism. According to the currently adopted definition by FAO/WHO, probiotics are: "Live microorganisms which when administered in adequate amounts confer a health benefit on the host". 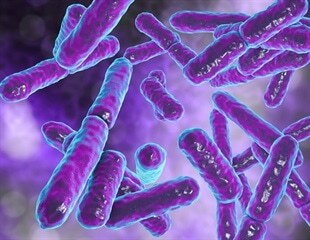 Friendly bacteria: do we really need to eat probiotic yogurts? Jane and Aatos Erkko foundation has awarded University of Jyväskylä'sAcademy Research Fellow Matti Jalasvuori's research group 255 000 euro grant for investigating the conjugative transfer of anti-antibiotic resistance genetic elements. Bifodan A/S together with Aalborg University is pleased to announce the foundation of the Probiotic Research Initiative. The intestinal microbiome is not only key for food processing but an accepted codeterminant for various diseases. Researchers led by the University Medical Center of Johannes Gutenberg University Mainz identified effects of nanoparticles on intestinal microorganisms. The intestinal microbiome is not only key for food processing but an accepted co-determinant for various diseases. Researchers led by the University Medical Center of Johannes Gutenberg University Mainz identified effects of nanoparticles on intestinal microorganisms. The complex sugars found in human breastmilk, long believed to be fixed in their composition, may change in women who are taking probiotics, according to new research from the University of Rochester Medical Center. Microbes offer an untapped potential and could be the key to a better and healthier living. Yet, research and innovation developments on microbiomes remain scarce. A new study has shown that probiotics may serve as a potential therapeutic approach to bipolar disorder and other psychiatric conditions. According to our current understanding, intestinal microflora has a considerable effect upon our health. The initial colonization with bacteria directly after birth could be of significant importance for the development of the intestinal flora, which then accompanies us throughout our entire lives. A team of developers from Skolkovo, ITMO University and MIPT presented an online service called Knomics-Biota, which allows for a comprehensive study of intestinal microbiome genetic data. New research published in the International Journal of Pharmaceutics demonstrates that 'good' bacteria in the live probiotic SymproveTM can successfully reach and colonize the gut, where they go on to change the existing gut flora. They are also capable of modifying immune response.